The German photo website photozone.de has reviewed the lens Zeiss ZA Planar T* 85mm f/1.4, Sony SAL-85F14 for Sony Alpha mount. 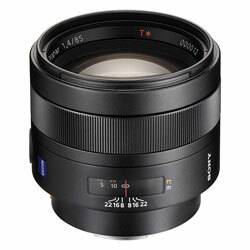 This Zeiss lens is great for low light portraits and to get a very shallow depth of field (DOF). Photozone ends up giving the Zeiss ZA Planar T* 85mm f/1.4 lens a “Highly Recommended” grade due to the lens’ excellent sharpness even from f/1.4 and great contrast. The only drawback is a some tiny problems with the focus ring and the high price (but good optics come at a high price).